YES! Today is National Watermelon Day (#Nationalwatermelonday) and I’m celebrating with a watermelon card and of course some watermelon! 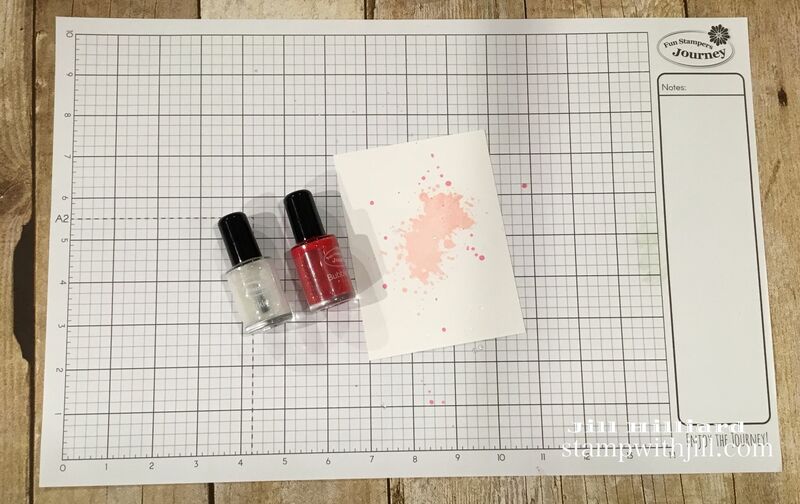 Today’s post gives you both a step by step Picture Tutorial and a Video Tutorial on how to make this watermelon card. 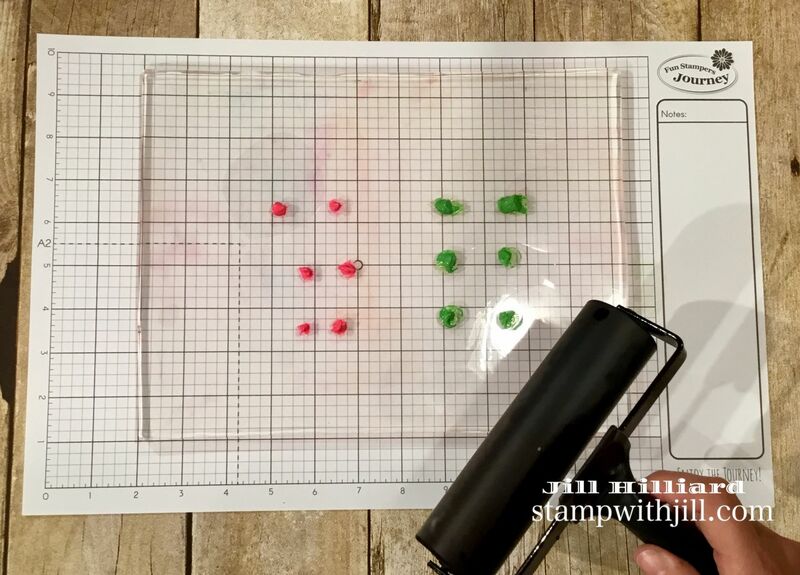 I will show you how to create a really fun watermelon slice using Fun Stampers Journey products. 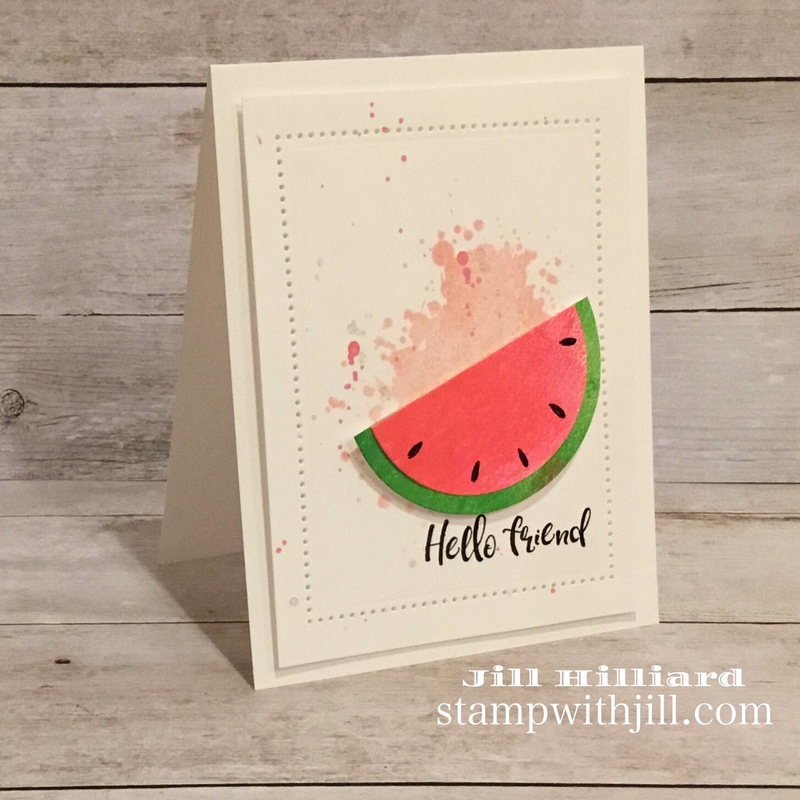 I needed to be creative since I do not own a watermelon stamp. Isn’t this so fun? The full supply list with shopping links is located at the end of this post. Let get started! 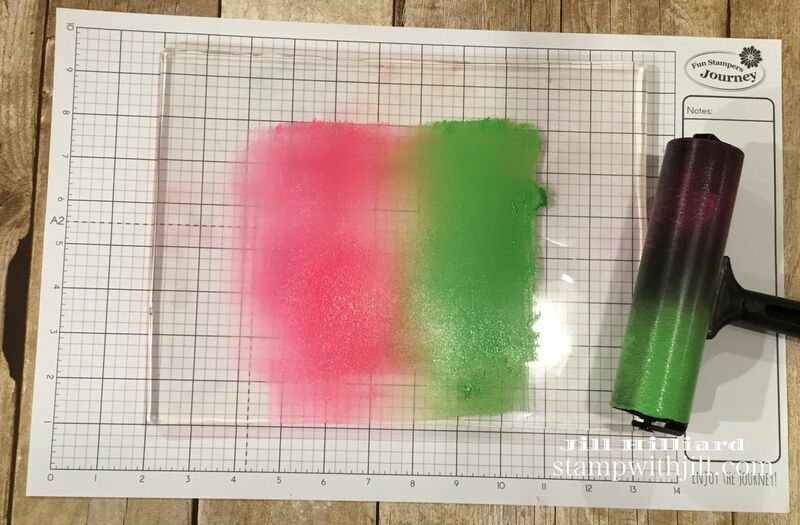 With your brayer, blend the paint so it looks like this. Don’t press to hard on the brayer. 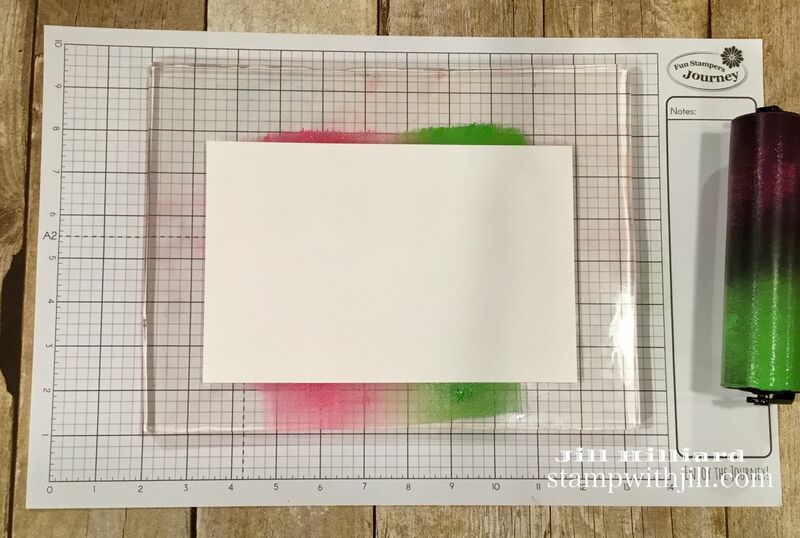 Press a 1/2 sheet of whip cream card stock into the blended paint on the gel press. 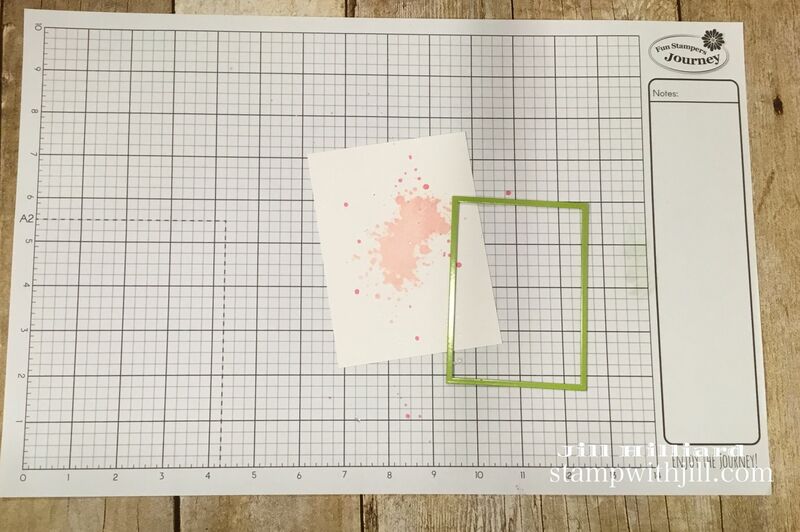 Your card stock should look like this. Don’t worry about any blobs of paint. they will dry. Notice the texture in the paint. Very Cool! You will need to set this aside to dry for a few minutes. Use your Journey Circles dies and the Circle Around dies to cut the perfect watermelon layers. Size for the green is approx 2.75 round and for the pink it is approx. 2.25 round. 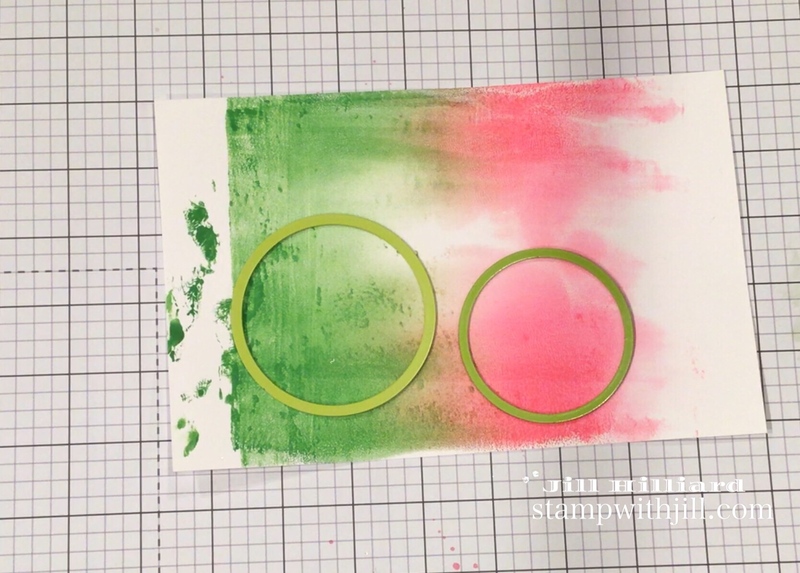 Glue your Pink and Green circle die cuts together, cut in half with scissors and add some watermelon seeds with a black marker. 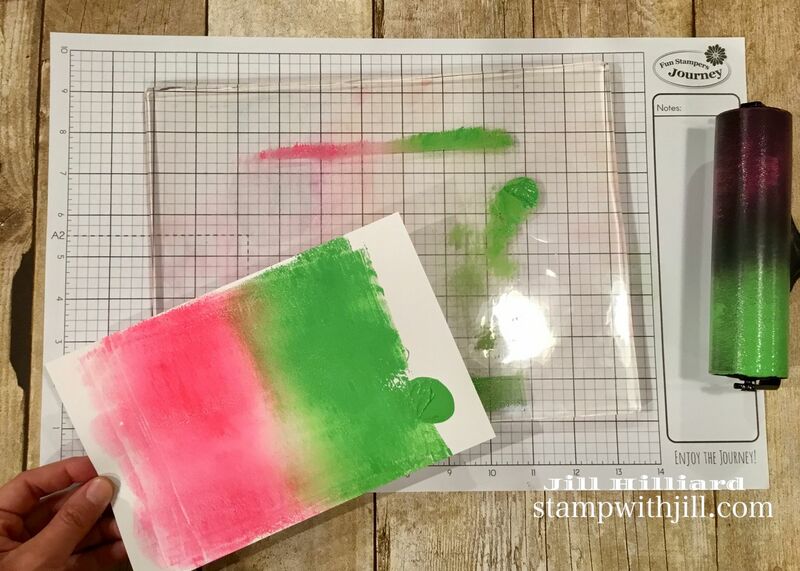 Add the pierced layer using the journey rectangles die. Add the sentiments in Black Licorice ink from the Sending Sunshine ATS. 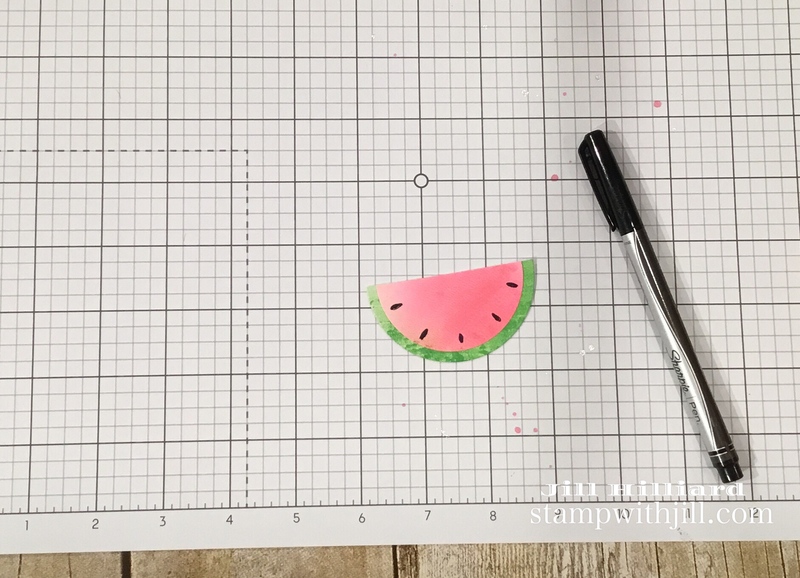 Attach the watermelon slice and the Pierced panel to the card base (4.25 x 11, scored at 5.5) with foam squares to complete the card. 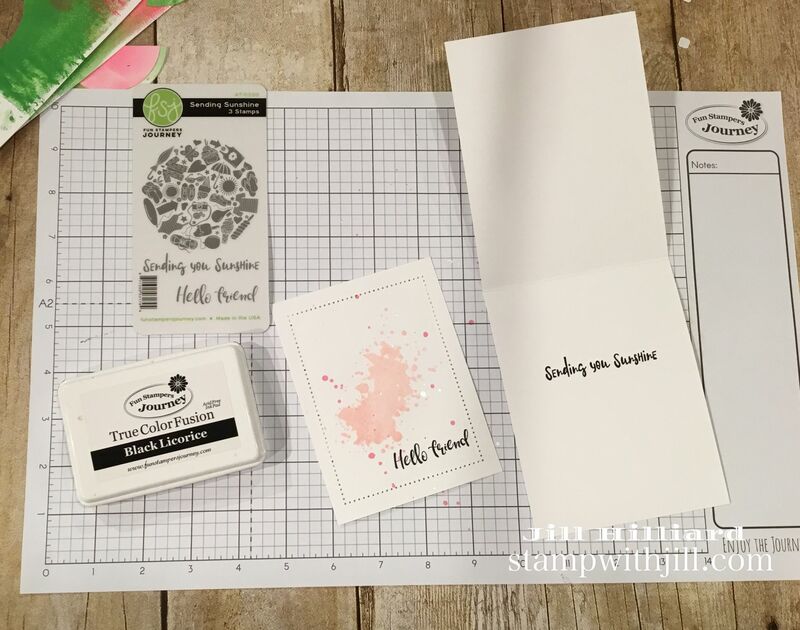 All Supplies are Fun Stampers Journey. Here is my full supply list. Click the products to shop online.